The Logic Controls CR1600 cash drawer was built with durability and security in mind, keeping unwanted hands out of the till and your money safe. 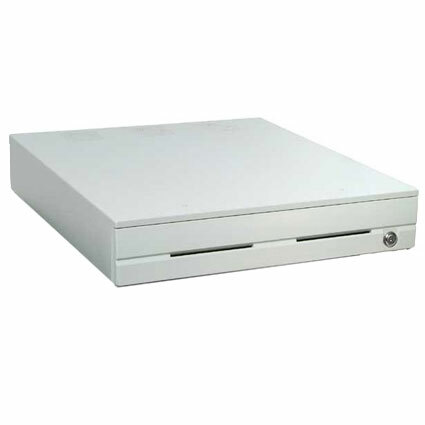 The 16" x 20" cash drawer is built with heavy-gauge sheet metal and reinforcing beams, allowing it to withstand heavy top loads or day-to-day abuses. To minimize access, the CR1600 has no external screws, eliminating a would-be access vector. 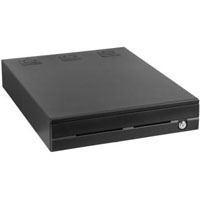 The CR1600 comes with your choice of interfaces, including POS printer driven, serial, or USB interfaces, and port-powered drawers are available if you need a USB or serial interface drawer with no power adapter. Cable management with the CR1600 is a snap via a rear compartment with opening door, and mounting holes let you secure pole displays and peripheral cables easily.